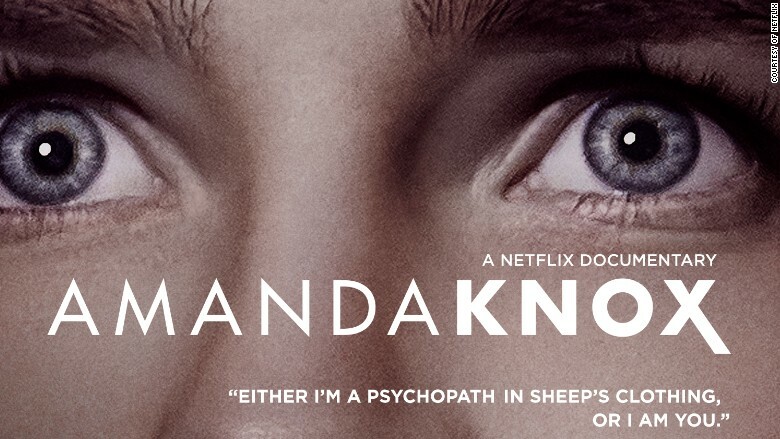 Netflix's Amanda Knox documentary trailer asks: Do you believe her? Netflix's Amanda Knox doc asks: Do you believe her? An upcoming Netflix documentary about Amanda Knox aims to present all the sides of the tangled murder case she became a part of. In "Amanda Knox," which debuted Friday at the Toronto International Film Festival, filmmakers attempt to revisit the true-crime story that captivated the public and media and examine what role headlines -- salacious and otherwise -- play in the search for justice. Knox spent four years in prison for the the 2007 murder of her British roommate Meredith Kercher in Italy before being her conviction was overturned in March 2015 . It features new interviews with key players, including Knox herself. Earlier this week, Netflix dropped two trailers for the documentary, each of which presented an opposing viewpoint of the case. One is titled "Suspect Her," the other "Believe Her." "Either I'm a psychopath in sheep's clothing or I am you," Knox says in one. In a review, Variety said the documentary "reveals the guilty party. It wasn't Amanda Knox -- it was tabloid journalism." The film comes from directors Rod Blackhurst (Tribeca Audience Award-winner "Here Alone") and Brian McGinn (IDA Award-winner "Chef's Table"). It debuts on Netflix on September 30.